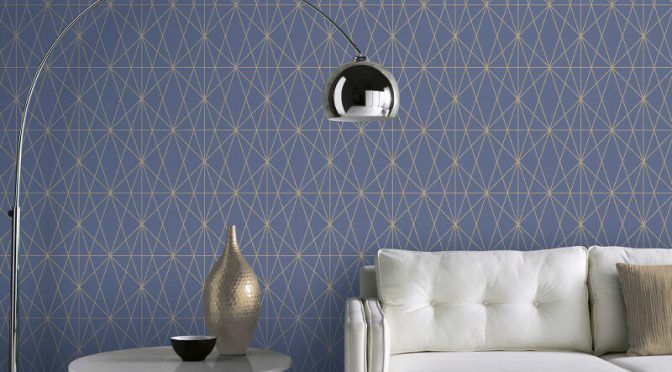 Arthouse Web Geometric Blue Gold Metallic Wallpaper is a great way to add a splash of colour to your home this season. Firstly, this eye-catching wallpaper is part of the striking Opera Wallpaper Collection. So it is sure to make a welcome addition to any room. The wallpaper features a modern geometric print done in metallic gold on a deep blue background. Finally, the Arthouse Web Geometric Blue/Gold Metallic Wallpaper is well suited for use as a feature wall. Add gold accessories to complete the look. 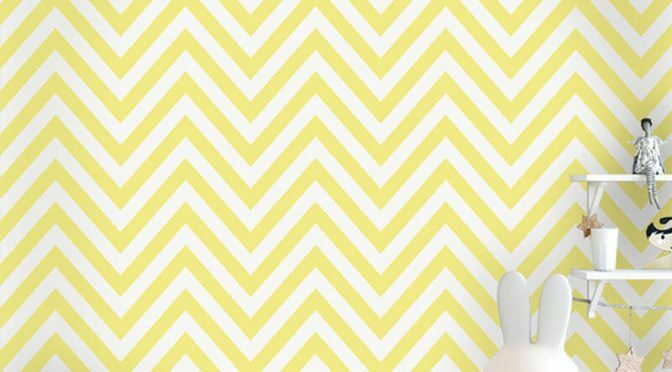 Chevron Striped Pattern Yellow Wallpaper is a great way to add colour and style to your walls this season and beyond. This eye-catching wallpaper is part of the Make Believe Wallpaper Collection from Holden Decor. So it is sure to make a welcome addition to your home. The wallpaper features a modern chevron inspired print. Furthermore, it is brought to life with a refreshing yellow colour scheme. Finally, use the Holden Décor Chevron Striped Pattern Yellow Wallpaper in any room. It looks fabulous in a child’s bedroom or in a living room. Mix and match with the same design in different colours for a fun finish.